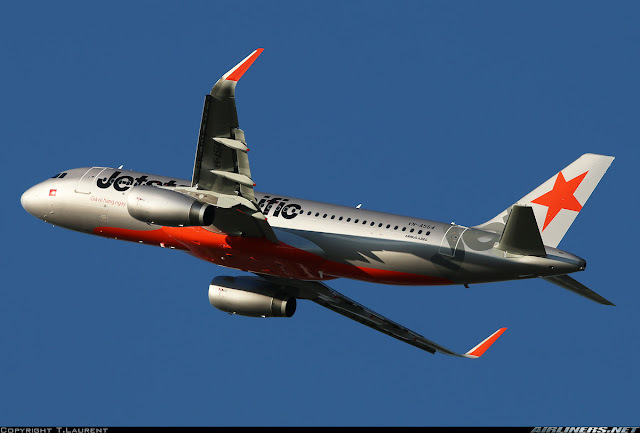 Welcome to my trip report on Jetstar Pacific! For my return flight back to Ho Chi Minh City, I was thinking whether I should fly back with Vietnam Airlines Boeing 777 or the Airbus A330-200 which depart not too long after the 777 flight. However, after considering a bit, I felt that I should stay longer for at least a couple of hours. Its strange that Vietjetair and Vietnam Airlines do not have flights departing at 7 p.m. The next flight after the A330 flight (6.20 pm) was around 8 plus and for the rest of the flights, the Airbus A321 were operating on those routes so nah, I wasn't keen. Then when I checked Jetstar Pacific, it offers a 7 pm flight and since the price was reasonable, I went for it. I made the right decision as I ended up flying on a brand new Airbus A320, featuring a different cabin from the older A320 aircraft I had flown before. Da Nang is the 3rd international airport in Vietnam and it all started out in 1957 when the Republic of Vietnam Air Force renamed this airport from its previous name - Tourane Airport. Mainly used as a military airbase at that time. However, Air Vietnam had started commercial flights from 1951 to 1975 on domestic and international routes. In 2010, the construction of the new terminal took place and was completed a few years, keeping it up with the other airports such as Hanoi and Ho Chi Minh City. After coming out of the air side, I went around taking some photos of the outside of the departure hall. I didn't have much time so I made it a quick one. This is the drop off point for departure passengers. A little glimpse of Da Nang! Welcome to Da Nang International Airport! Unlike Hanoi Airport, this airport is smaller and has only 1 terminal containing both domestic and international flights. I went over to Jetstar Pacific's check-in counter. This is the ticketing booth. The queue was relatively long when I was there. Turned out to be a full flight which is not a surprise. VASCO - I will come for you soon. This is the air side, you can find cafes and shops over here. Free Wifi is available at this airport, almost forgot to mention. During the wait, I checked Flightradar what aircraft I was flying on and it was VN-A564 flying in from Hanoi. I was hungry so I took a quick bite at Star Cafe. The staff wasn't in the best of mood. This Vietnam Airlines Airbus A330-200 could have been my flight back if I had chosen it. My flight was departing from a remote parking lot, which means my flight's gate was located at the ground level. Heading down and it was quite packed then. Fortunately, I got myself a seat. Announcement was made to board! Shiny new Airbus A320, its not everyday you get to fly on a new aircraft. This seat is an improvement over the older type. So many stuff in the seat pocket, still prefer the seat pocket to be at the lower portion of the seat in front of the passenger. Boarding was done quite quickly via the airport bus. I was on the first bus so the cabin was empty when I stepped, only a few passengers on board. Greeted by the friendly crew. This set of crew is the better ones as they were courteous towards us. Smiles on their faces definitely gave me a better impression of this airline. As I was seated at the emergency row, a cabin crew came to brief us, first in English to both my seat mate (beside me - Caucasian lady) and myself and the seat mate (aisle) in local language. What I notice about the seat is the legroom space - better than the normal seats that's for sure. I looked at how opening the window on the safety card just in case an emergency occur. Fortunately, everything went smoothly. Once everyone was seated and the flight crew were ready, we were pushed back and soon on the way to the runway. Take off was powerful and smooth, and BOB service was done after the pre-ordered meals were settled. I decided to order something light and also use this time to try out the food. It was around U.S $4 for the meal including the drink. For the rest of the flight it was uneventful, nothing to write about. We landed early and parked at the remote parking lot where we took the bus to the terminal. Nice to fly on the A320 fitted with sharklets! It was quite crowded as I negotiated my way to the arrival hall. With that, my day trip came to an end. How time flies when you are having fun! My next domestic Vietnamese action would probably take place in October, going for Vietjetair Airbus A321, VASCO ATR-72-500 and possibly another ride on Vietnam Airlines Boeing 777. It was a pleasant flight with Jetstar Pacific and more importantly very happy to have flown on the airline's newest Airbus A320 at that time. The new cabin is certainly an upgrade over the older ones. For the airfare paid, this was certainly worth it. Would I recommend this airline, yes definitely. Comparing this to Vietjetair, they are quite similar especially flying on domestic routes, so choosing either one of them is fine. This was my first domestic flight experience with this airline and I was glad everything went well. For tall passengers like myself, I recommend the emergency rows, for a price a bit more, the legroom space is definitely worth it. Da Nang airport is pleasant, like Ho Chi Minh and Hanoi airports. Smaller than these two, but the airport has the basic facilities to keep you occupied till its time to board your aircraft. Free Wifi is important and the connection at this airport is reasonably fast. No paid lounges at the domestic side at least, but doesn't matter since the flight to Ho Chi Minh or Hanoi is short. You can check out my previous trip report (Vietnam Airlines 777 SGN-DAD) over here.